Does it really surprise Real Housewives of Atlanta fans that stars Kandi Burruss and Todd Tucker have a super cute baby? I didn't think so. Ever since giving birth to Ace Wells Tucker on Jan. 6, 2016, both Kandi and Todd have been sharing photos left and right of their two-month-old son on social media and now I know why. 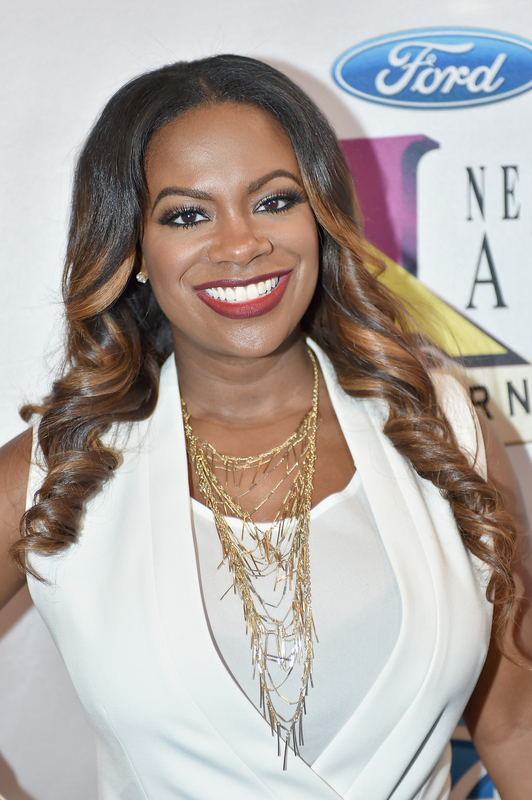 In a new photo shoot with People, Kandi posed with Ace in his safari-themed nursery. As Kandi told People, "We wanted a safari theme because we met in Africa, but we didn’t want it to be over the top." Her husband added, "It’s safari chic. Safari clean." Well, it's really cute, which fits with Ace's adorableness. I mean, look at that head of hair! Plus, he is clearly following in his mom's footsteps, because he already knows how to work the camera. Technically, this is considered Ace's first "official" picture and is one where you can see his full face. Like I previously mentioned, both Kandi and Todd have posted many pictures of their little guy, but their followers have never gotten a good view of Ace's face. Well, now they have. And here's even further proof that Ace is cute as a button. I told you he is super cute.